E-safety is a vital part of children’s life and education in today’s ever-growing digital world and is rooted in their computing curriculum at our school. As a school, we feel that engaging and supporting parents and children improve their own understanding of e-safety issues is of great importance, so they can learn to use and support each other when using the internet and all digital media, in a safe and secure way. As part of the wider curriculum, access to the internet is given to the children in teacher supervised lessons and is strictly monitored by Senior Leadership. As part of promoting Esafety in school, every year in February, we hold a safer internet day, which all children are involved in and we also invite parent/carers to join us with this too. The next day is February 5th 2019. Look at the safer internet day link in resources for more information on this. At the start of the school year, we send home An Acceptable Usage policy to parent/carers for them to sign and agree to. 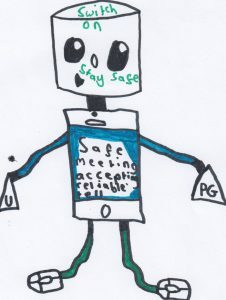 We also ask every child in KS2 to sign an Acceptable Use Agreement policy (AUP) so that we know they have read and understood our school’s rules on staying safe when using devices and the internet and KS1 to sign an adapted version for our younger children. It is clearly evident how important the internet is to children at home – they use it to learn, play, socialise and express themselves. It’s a highly creative place of amazing opportunities and an excellent learning tool. However, the technology children use every day can seem complicated at times and you may worry about the risks your child can face online – such as cyber-bullying, contact from strangers or the possibility of them seeing or hearing illegal or inappropriate content. Ask them about how they stay safe online? What tips do they have for you, and where did they learn them? What is OK and not OK to share? Ask them if they know where to go for help, where to find the safety advice, privacy settings and how to report or block on the devices and apps/games that they use. To try and help parents with the fast moving and changing world of internet and social media, we’ve suggested a few internet resource sites, with excellent resources that contain information on different types of social media and how to help keep children safe. Childnet also produce a leaflet for parents which can be downloaded here. If you would like more information on how to keep your child safe when they are using a mobile device, Smartphone safe is a great online tool for this. 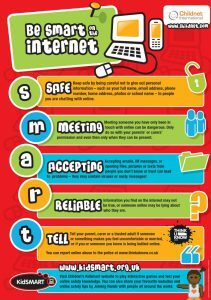 Childnet is a great website resource for parents and children on online safety. Internet Matters is another great site to use – it has advice on cyberbullying, how to talk to your children about internet safety and easy guides to different types of social media such as Instagram and Snapchat. You can visit their page below. We’re proud to announce we’ve now become an eCadet school. 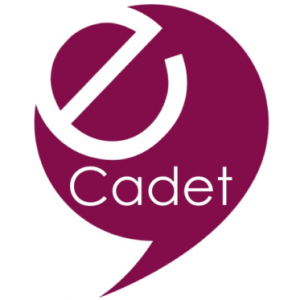 The eCadets is an award winning programme which trains, empowers and supports a team of pupils to keep their friends and all children in our school safe online. The programme involves special challenges that not only deepen all children’s knowledge about staying safe online, but also work towards accreditations and awards for the school. Further updates on our progress will be added shortly!